I modified him and made him black, with red eyes and a denim saddlebag. Here's a mutt only a necromancer could love. Fair warning: all the alpha channel-ed clear bits can get a little strange up close, but its enough to make me happy. plain so i put a "T" on it. for Torchlight of course. 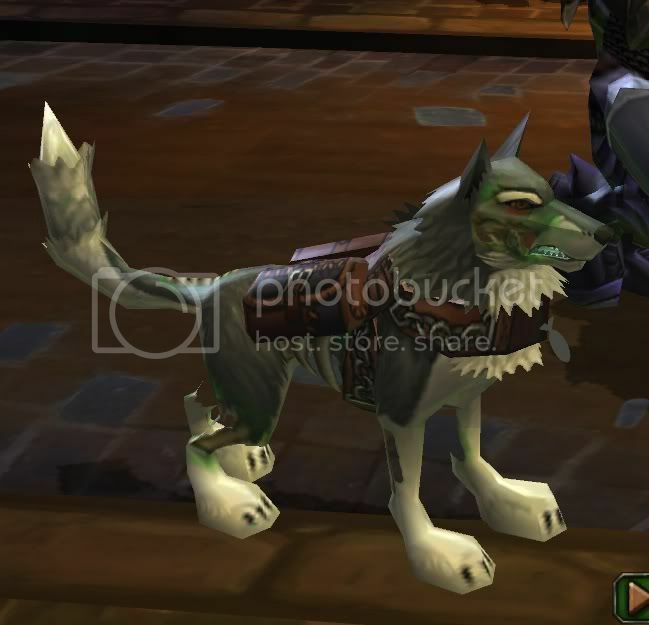 Spirit Wolf Skin requested by sterlinghurd for his Shammy class project. This skin is supposed to resemble (at least lol) the spirit wolf from World of Warcraft. The last tier talent in the Enhancement tree, not the shapeshifting one.